This is the first book by this author and it is some ride into fantasy! It definitely deals with good and evil in a way that will chill you to the bone! I finished this in one day-not even my cat Baby could get me to put it down and believe me she tried! This book is definitely the stuff nightmares are made of. 5 Star from me with the hopes I never find the Well House! I am looking forward to his next book--a ghost story. 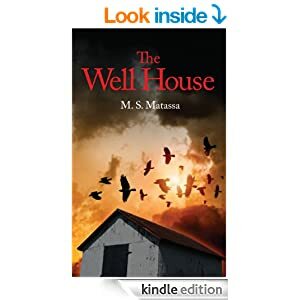 The Well House is the first novel by Michael S. Matassa, an attorney and Municipal Court Judge in Arvada, Colorado. He discovered the well house in the late summer of 1994, standing by a field of corn on a small farm just south of Brighton Colorado, where it still stands today. Mr. Matassa studied at Regis College in Denver and the University of Colorado School of law. 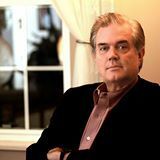 He has also written several short stories, a screenplay and is presently working on a sequel to The Well House and a ghost story called “The Baby Carriage.” He writes under the pen name of M. S. Matassa. I was locked in a coma years ago and it was a fascinating experience that taught me some lessons. I'm actually publishing that story for the first time ever. It has been quite a journey. I'd love to read how her state is described in the book. I love that he is dreaming of the clues! Sounds like a intriguing book. I bet there is so much that the mind goes through while in a coma. I've never been too fond of "CHILL TO THE BONE" books--my imagination will get the best of me for nights and nights after!! but it sounds like a great read. This isn't my favorite genre, but I do like that the book has a deeper meaning, not just shock value. I hope Ben succeeds in bringing Anne back. Very unique storyline. Definitely an unusual genre to jump into and enjoy. This sounds fascinating! A dose of creepy. I wish the author the best as he launches his writing career! Sounds like a gripping story to be able to consume it all in one day! Ooooh! 5 stars from you, sounds like it is a good one. That looks like a great read. I love books like these. I'm intrigued!!! Oh, for more time to read all that I want to read! Now this one sounds very interesting and mysterious too. Wow. I love those one day books. I've been known to push a book out in that amount of time. Sounds like a great book, goodness knows I need something to read since It's been awhile since I've read any new books! They say dreams are part of what is going to happen.. Seems like a really good interesting book! pregnant and ultimate evil are two words that I've never seen in the same sentence! This sounds like a thrilling read. Sounds like a great read. I wish I had more time for books and magazines! Thanks for sharing! Love these kind of stories. Thanks for sharing. Sounds like a great book, I will definitely have to put it on my reading list. This sounds spooky! I bet it's a good read. Honestly, I'm not normally a fan of this genre, but I'm hooked on the trailer for this book. I will be checking this one out! I'm not really into fantasy, but my husband would love this book! That is awesome that you finished that book in one day. I have gotten so lazy about reading lately. This is a book I know I would love - thanks! Checking it out. I love books that a fantasy's. That is my favorite genre. Chilled to the bone? I can't really resist that, can I? Oh my! That seems intriguing. Both stories sound good to me.